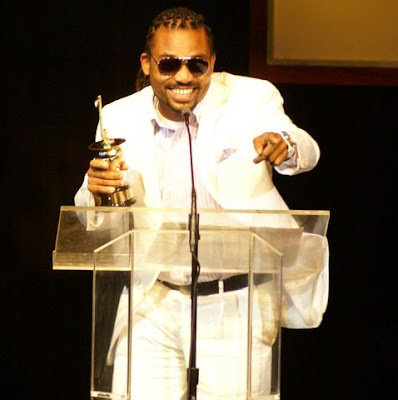 Machel Montano returned to the 2009 IRAWMA as last year's biggest winner, and kept his winning streak alive. The soca star was honored with two top awards - the "Most Outstanding Stage Personality" and "Most Outstanding Show Band" with his HD Band, at the 28th Annual International Reggae and World Music Awards (IRAWMA), held on Sunday, May 3, at York College Performing Arts Center in Queens, New York. Montano was in attendance with longtime deejay, GB Godbless, and hit the stage for an exciting but brief performance of his hit collaboration with Collie Buddz, "Fly Away." The abbreviated set left the roaring audience screaming for more, and Montano seized the opportunity to invite all to his upcoming spectacle at Radio City Music Hall on Saturday, June 13. "Machel Montano in Concert : Raw and Uncut". Montano will be taking his message of solidarity and soca sounds to old and new ears as he performs at the UCLA Jazz Reggae Festival on Monday, May 25. With summer on the way and carnival festivals creeping up internationally, fans can be sure that Montano will continue to blaze the trail for soca and Caribbean music around the globe. Log on to www.myspace.com/machelmontano for news and tour updates from this Caribbean icon.